Super typhoon Rammasun has killed at least 17 people in China as the strongest typhoon in four decades brought gales and downpours to a number of southern provinces. More than 1.3 million people were affected by Rammasun, which swept dozens of southern coastal cities in Guangdong and Hainan provinces, and Guangxi Zhuang Autonomous Region. In Hainan, the typhoon destroyed about 51,000 houses and 40,600 hectares of crops, causing economic losses worth over 4.7 billion yuan (752.58 million U.S. dollars), the provincial civil affairs authorities said. In Wengtian Town of Wenchang City, where the typhoon landed, over 90 percent of residential buildings collapsed. More than 1,000 people were trapped in the Luodou farm where sea water rose to one-man high. "I opened the restaurant just a month ago. 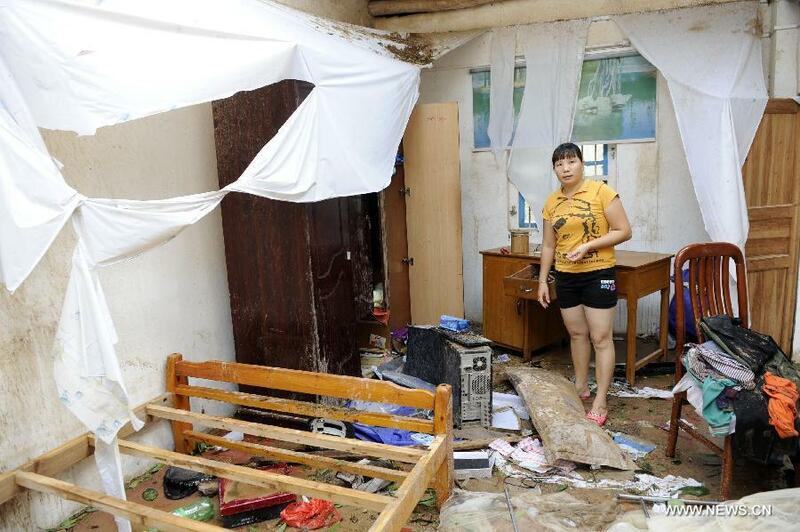 The typhoon blew everything away," said Han Xiongfeng, a resident in Wengtian. Han invested more than 300,000 yuan, nearly all his savings, in the restaurant. The typhoon also seriously damaged power and water facilities, telecommunications networks, ports and roads, making rescue work more difficult, according to local authorities. Electricity in about 80 percent of Wenchang has been affected, and water supply in most eastern coastal regions has been cut since the typhoon landed. Rammasun made its landfall in Fangchenggang City of Guangxi on Saturday morning. A tower crane fell, killing one person on the site and injuring two others. Roads are strewn with garbage and trees. Gas stations are temporarily closed. In Beihai, another city in Guangxi, fallen trees and power lines have blocked major roads and damaged buildings, with some roofs blown away. Dai Yanhui, a Beihai resident, told Xinhua that he felt his house shaking in the ferocious winds. "It is the biggest typhoon I have experienced in years," Dai said. The typhoon paralyzed power network in the city. Rammasun also grounded planes in Nanning, the regional capital, stranding some 1,300 passengers. High-speed train services between Nanning and coastal cities have been suspended. In Guangdong, where the typhoon made a second landfall at Zhanjiang City Friday night, more than 14,800 people have been relocated. Losses are estimated at 247 million yuan. The provincial government of Hainan has launched an urgent disaster-relief response, sending six relief teams, headed by senior provincial officials, to the affected regions. More than 100,000 villagers in Wenchang have been relocated. Rescue teams have been formed to clear blocked roads, and living necessities have reached some of the worst-hit villages, according to the municipal government of Wenchang. 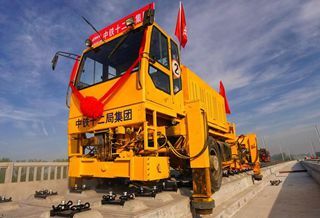 About 10,000 service men have been mobilized to help the relocation of local residents in the affected cities of Wenchang, Tunchang and Wanning. They have sent nearly 100 tonnes of relief materials to people affected by the typhoon. A large number of technicians have been sent to repair damaged power and telecommunications facilities. Electricity in 75 percent of the districts in Haikou, capital of Hainan, has been restored. To ease water shortage, 27 emergency wells have been opened in Haikou. But they can only meet 20 percent of the city's total daily water demand. Flights have been resumed at Sanya and Haikou airports. Typhoon Rammasun landed at Wengtian town of Wenchang at 3:30 p.m. Friday, made a second landing at Xuwen County in Guangdong, and made a third landing at Fangchenggang City of Guangxi on Saturday morning. "I have never seen such a scary typhoon in my life," said Fu Zhiqiong, an official of Wengtian. "Typhoon is common in Hainan, but Rammasun beat our estimations." It marks the strongest typhoon ever hitting south China in the past four decades, according to the country's meteorological authorities. Gao Shunzhu, an engineer with the National Meteorological Center, said it is rare for a typhoon to make more than three landings. Rammasun is the second typhoon that landed at a speed of 48 meters per second since China started to file meteorological records. Rammasun is expected to continue moving northwest at a speed of 20 kilometers per hour, bringing heavy rainfalls to the west of Hainan and Yunnan Province, according to meteorological authorities.